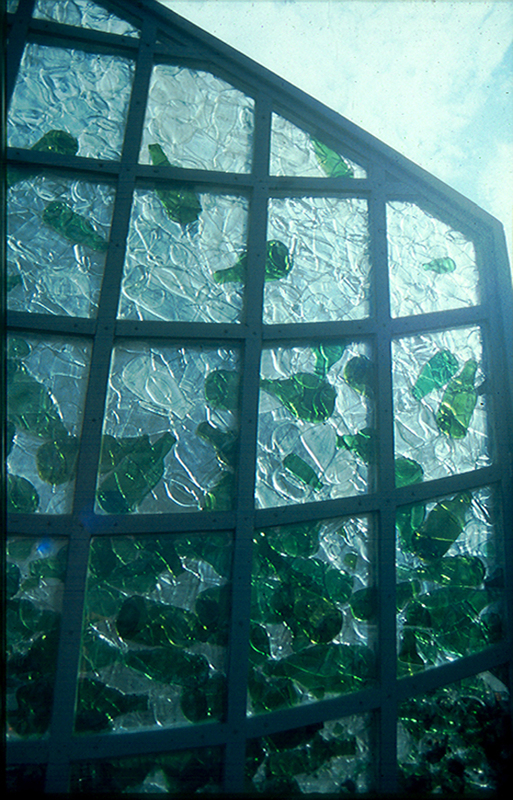 Materials: Recycled glass bottles, steel, double glassed units. Description: A collaboration with Remco de Fouw. 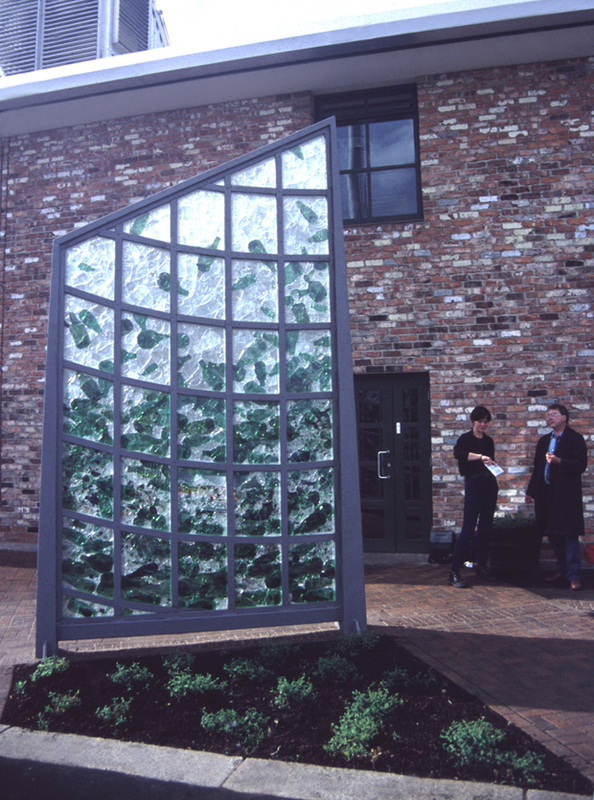 This porch/windbreak took the form of a ‘greenhouse’ like steel frame containing panels of slumped and fused bottles sealed in double glazed units. The overall effect is of a semi transparent cascade of brown, green and clear bottles composing down to an organic state.